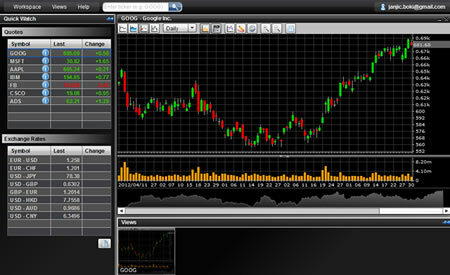 Chart Pro - online application offers making online workspace with quotes and chart. So you can access your workspace from any place with available Internet connection and do technical analysis. You must be registered user to use application. Registration is free.